GeForce RTX 2060 is a budget Ray Tracing graphics card and the fourth one in the RTX 20 series lineup. It is a higher mid-range graphics card that comes just after the RTX 2070. It is a pretty powerful card and much better that GeForce GTX 1060 from the Pascal series. The performance of RTX 2060 falls in the range of GTX 1070 Ti, which is a powerful high-end graphics card and is as fast the GTX 1080. When compared to GTX 1060, RTX 2060 is around 60% faster and around 12% faster than the GTX 1070. Also, when compared to its immediate bigger brother i.e. RTX 2070, then it is about 12% – 15% slower than it. I think RTX 2060 is the only the card in the RTX 20 series that has received quite a bit of praise, because of its very good price to performance ratio. 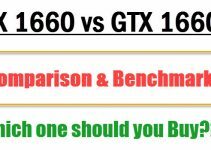 It is also cheaper than GTX 1070 Ti, but offers the same or better performance and is as fast as the RTX 2070 which is way costlier than RTX 2060. RTX 2060 is built on the Turing Architecture on 12nm FinFET manufacturing process. 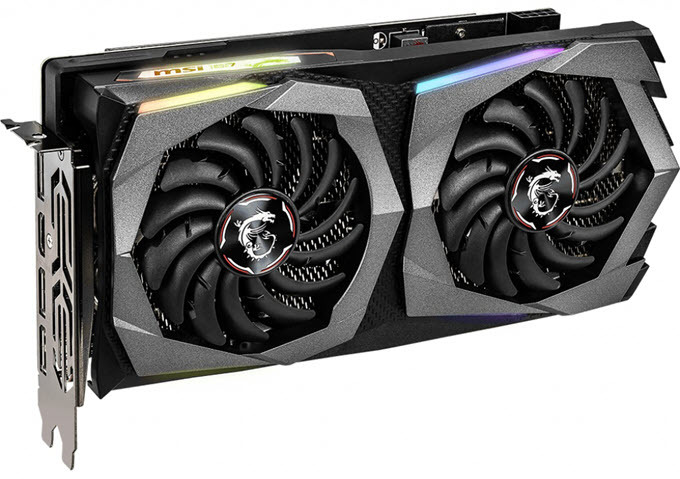 The card uses the same TU106 GPU core that is also used in the RTX 2070. However, some of the cores in RTX 2060 are locked and it is basically a cut down version of the RTX 2070 with same GPU chip. RTX 2060 comes with 1920 CUDA Cores, 240 Tensor Cores for AI / Deep Learning stuff and 30 RT Cores for Real Time Ray Tracing. It boasts 6GB GDDR6 memory having 192-bit interface that offers total bandwidth of 336 GB/s. It is a VR Ready card that supports DirectX 12, OpenGL 4.5, OpenCL, G-Sync but lacks SLI multi-GPU support. It can run all your latest AAA games on maximum graphics settings at 1440p with 60 FPS or more, but if you turn on the Ray Tracing and DLSS (Deep Learning Super-Sampling) then you do have to lower down graphics settings to high and resolution to 1080p to maintain 60 FPS. 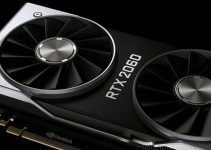 From Nvidia, it is available as GeForce RTX 2060 Founders Edition which can be termed as the original or reference RTX 2060 card. 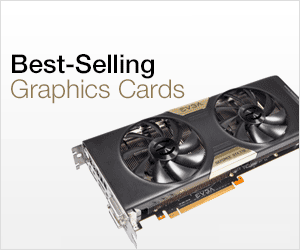 The card is also available from other Add-in board partners or third party graphics card manufacturers with custom coolers, custom PCB design & size, overclocked GPU clock speeds, and they may also possess extra fancy features like RGB LED lighting. So, here I am going list down the best RTX 2060 cards with different form factors, pricing and performance for different scenarios or applications. Note: The GPU clock speed of a Reference RTX 2060 is 1365 MHz (Base) / 1680 MHz (Boost), and for Memory it is 14 Gbps or 14000 MHz. 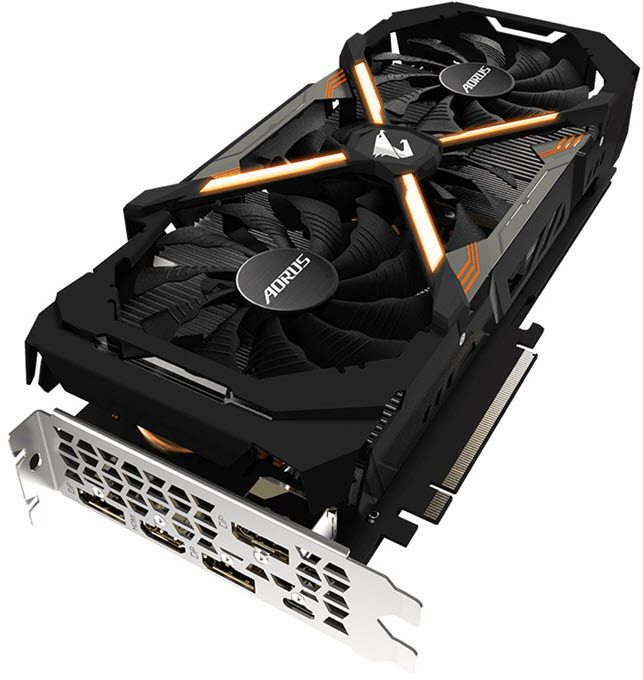 Gigabyte AORUS GeForce RTX 2060 XTREME 6G is a highly overclocked RTX 2060 card, and is also one of the fastest RTX 2060 cards around. This Overclocked RTX 2060 has got GPU Boost Clock of 1845 MHz, which is 165MHz higher than the reference or founders edition card. The memory on this card is also slightly overclocked at 14140 MHz (140 MHz overclock). The card is fitted with WINDFORCE Stack 3X 100mm Cooling System that consists of large heatsink with large copper base and copper heat pipes for better heat transfer. On the top of the heatsink, there are three 100mm fans with double ball bearing for longer lifespan and unique fan design for enhancing airflow. These are alternate spinning fans where the middle fan spins in opposite direction compared to the rest to avoid turbulence and allows smooth airflow for better heat dissipation. Also, 3D Active Fan provides semi-passive cooling where they will stop spinning during low GPU load, and they kick back in action during gaming or high GPU usage. The LED indicator on the top of the graphics card indicates the status of the fans i.e. whether they are running or not. This is a big card that eats up 2.75 slots or three slots on your motherboard and the PC case. This triple fan RTX 2060 card sports RGB LED lighting that can be seen on the top of the frame, and on the AORUS LOGO on the side of the card. Also, the large metal backplate has the RGB AORUS LOGO Illumination. The RGB lighting can be synchronized or customized using the RGB Fusion 2.0 software. For stability during overclocking, the card comes with 8+2 Power Phases and you can overclock the card further using the Gigabyte’s AORUS ENGINE overclocking utility. The card requires one 8-pin and one 6-pin PCI-E power connectors and the recommended PSU for this card is of 500W. Display connectivity options at the rear includes three DisplayPort, one HDMI and USB Type-C port (supports VirtualLink for connecting VR Headsets). So, if you are looking for a fast RTX 2060 with excellent cooling then you do not need to look further. 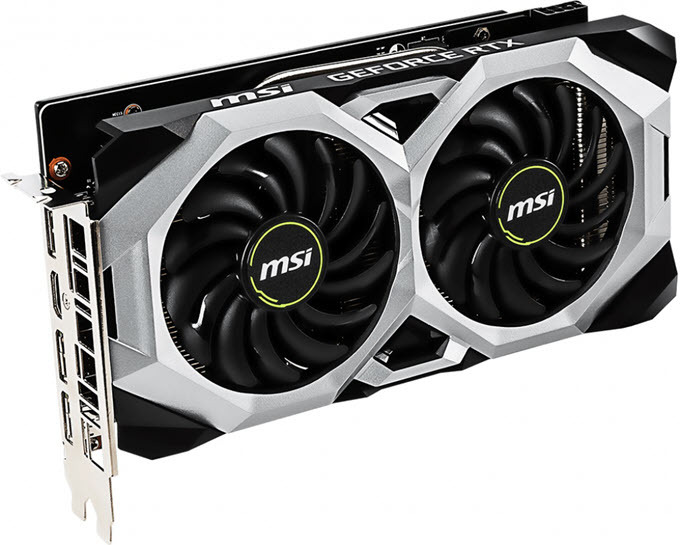 If you are looking for a budget RTX 2060 card then MSI GeForce RTX 2060 VENTUS 6G OC is a great option. It is a slightly overclocked card with GPU Boost clock speed of 1710 MHz, which is 30MHz higher than the reference or stock card. This is dual fan card that comes with two TORX Fans 2.0 with Dispersion and Traditional fan blade design for better airflow and static pressure. The heatsink comes with direct contact heat pipes and copper base plate for efficient and maximum heat transfer. The card is supported by a metal backplate that gives it strength and rigidity to prevent bending of the card. The card is also great on looks department with its silver & black color frame and fans. This is a dual slot card which means it will only consume two slots on your motherboard and computer case. For power, it requires a single 8-pin PCIe connector and a 500W PSU is recommended for it. It does lack USB Type-C port because of relatively compact design, but it is VR supported card and comes with three DisplayPort and one HDMI port. You may overclock this card further using the MSI Afterburner Overclocking Utility for getting more performance out of it. EVGA GeForce RTX 2060 XC ULTRA GAMING is the fastest dual slot RTX 2060 card with GPU Boost Clock of 1830 MHz. However, the card is a bit longer at 268mm, so make sure that you have enough clearance in your case to fit it. The heatsink is pretty longer and comes with heat pipes for better heat dissipation. On the top of heatsink, there are dual fans with newly designed fan blades for better airflow and efficiency. The fans come with Hydro Dynamic Bearing (HDB) for quieter operation and longer lifespan. It may not be the best-looking card for some with its plain design, but it delivers the required performance that you need in gaming. It also lacks a metal backplate which may be an area of concern for some users. However, the card is strong and sturdy and does not show any signs of physical weakness. For working, it requires an 8-pin PCI-E power connector and a 500W PSU. There is no USB-Type C connector present for connectivity, but it does include a DVI-D port which is uncommon in RTX 2060 cards from other manufacturers. Other display connectivity options include two DisplayPort and one HDMI port. 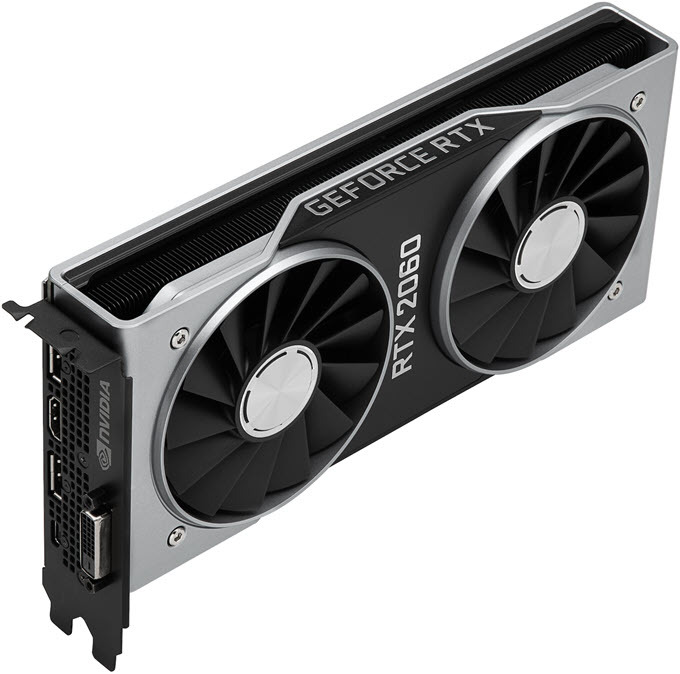 You can overclock and fiddle with various other settings of this card using the EVGA Precision X1 software that you can download for free from EVGA website. MSI GeForce RTX 2060 GAMING Z 6G has to be the best dual fan, and also the most silent RTX 2060 card. 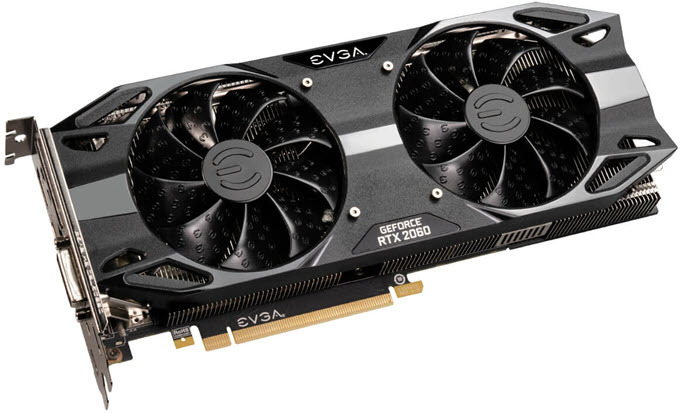 The is an overclocked card with GPU Boost clock of 1830 MHz, which is the same of the above mentioned EVGA GeForce RTX 2060 XC ULTRA GAMING. It comes with MSITWIN FROZR 7 cooling design that features a Wave-curved fins heatsink with copper heat pipes, and copper base plate for GPU. To cool down the heatsink, it has got dual fans (TORX FAN 3.0) with uniquely designed dispersion and traditional fan blades for delivering higher airflow and air pressure for efficient cooling. The ZERO FROZR technology on this cooler keeps the card very silent in operation. During low load when the temperature of the card is under 60 °C then fans stop spinning, making the card completely silent in operation. When the temperature goes above this threshold (60 °C) during gaming then fans will automatically start spinning again to keep the card cool. You can say that this is a semi-passive RTX 2060 card. The card is also great on looks department and the fancy RGB lighting adds extra charm to it. It is supported by a brushed metal backplate with MSI logo on it. Coming to its size, it is a bigger card having 2.75 slot design, which means it will eat up three slots on your motherboard and the case. To power this card, an 8-pin PCIe power connector is needed. The PSU recommendation for the card is 500W. It does lack USB Type-C port at the rear, but other digital display connectors are present that include three DisplayPort and one HDMI port. You may push the card GPU clock further using the MSI Afterburner overclocking software, that can also used for monitoring and for benchmarking purpose to calculate frame rates (FPS) in games. 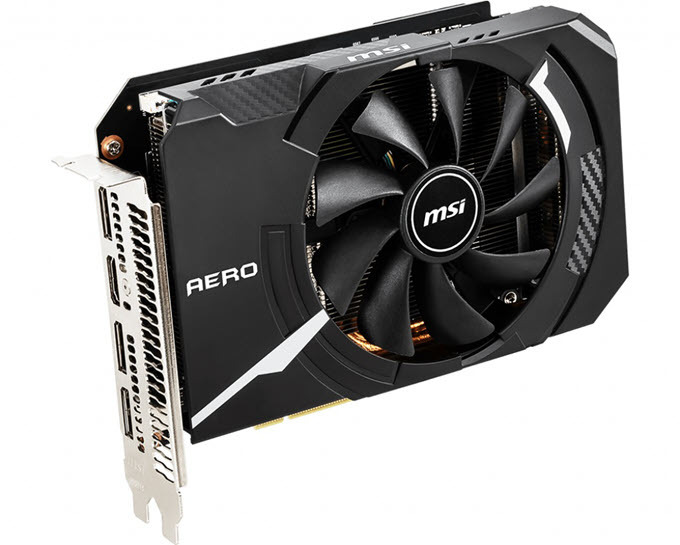 If you are looking for an SFF RTX 2060 for small form factor and Mini-ITX cases then MSI GeForce RTX 2060 AERO ITX 6G OC is a perfect card for it. The card comes slightly overclocked with GPU Boost clock of 1710 MHz which is 30 MHz higher than the reference RTX 2060 GPU clock. This compact RTX 2060 comes with a single fan with heatsink with copper heat pipes. It also got a metal backplate which is hard to find such compact graphics cards. 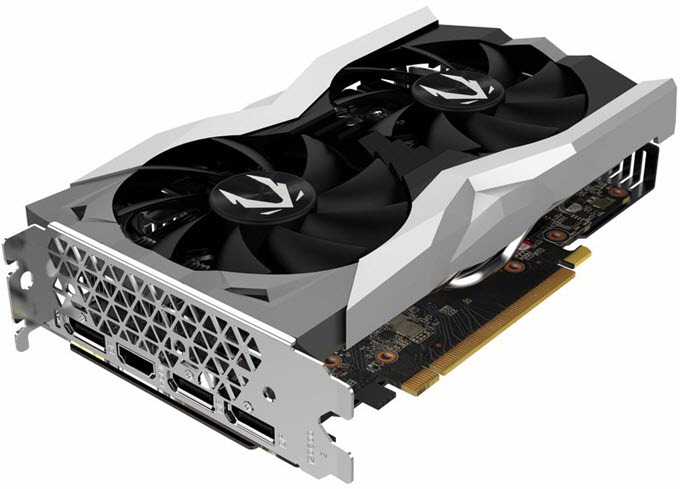 This card is shorter in size at only 175mm in length, but it packs all the features of a full sized RTX 2060 card that includes Ray Tracing, AI and Deep Learning. The card can fit in almost all the Mini-ITX, Mini-Tower, HTPC and SFF cases. However, it cannot fit in low profile or slim desktop cases because it is not a low-profile graphics card. Also, this is a dual slot card which means it will occupy two slots on the motherboard and the PC case. It does come with 8-pin PCI-E power connectors and a minimum of 500 Watt PSU to power it. There is no USB Type-C connector at the rear but it does include three DisplayPort and one HDMI port. You can overclock, configure, monitor, customize or control various settings of the card using the MSI Afterburner Overclocking Utility. 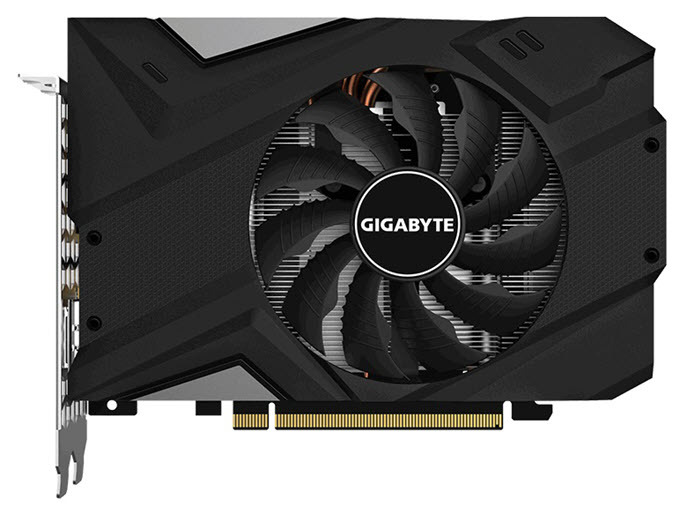 Another compact RTX 2060 card, but this one is from Gigabyte. This card is only 170mm in length which makes it even shorter than the above mentioned MSI GeForce RTX 2060 AERO ITX 6G OC. However, 5mm is a very very small margin, but I am mentioning this for informational purpose. The card comes with a single 90mm 3D Active fan (with unique blade design) over a compact heatsink with copper heat pipes that have direct contact with the GPU for better heat transfer. It employs semi-passive cooling approach, which means under low loads the fan shuts down making the card completely silent in operation, and during gaming or at heavy load it starts automatically again to keep the temperatures under control. The card is very slightly overclocked with GPU Boost clock speed of 1695 MHz. This compact dual slot RTX 2060 card can fit in almost all the mini-ITX and SFF cases, except in the low profile and slim cases. The card does require extra power connector in form of 8-pin PCIe power connector and needs a 500W PSU. The card uses 4+2 power phase design for stability during overclocking and higher speeds. There is no USB Type-C port at the rear but it does come with three DisplayPort and one HDMI connector. You may tweak settings and can overclock it a bit more by using the Gigabyte AORUS Engine software. If you are looking for a compact RTX 2060 with dual fan and higher overclocking speed then ZOTAC GAMING GeForce RTX 2060 AMP comes to your rescue. The card is 210mm in length and can fit in almost of the PC cases including small factor ones. The GPU Boost clock speed of this compact OC card stands at 1800 MHz which is a very respectable overclock. It sports ICESTORM 2.0 cooler that consists of dual 90mm fans and an aluminum heatsink with three 6mm copper heatpipes. The back of the card features a wraparound metal backplate for giving it rigidity and extra protection at the sides. Also, the White LED lighting on the cards looks very cool and gives it a classy look. This is a dual slot RTX 2060 card, but it looks very attractive while maintaining its compact form factor. It requires an 8-pin PCI-E power connector and a 500-Watt power supply. No USB Type-C connector is present at rear but it has three DisplayPort and one HDMI port. The Zotac FireStrom software can be used to fine tune, adjust LED lighting, monitor and to overclock the card for extra performance. 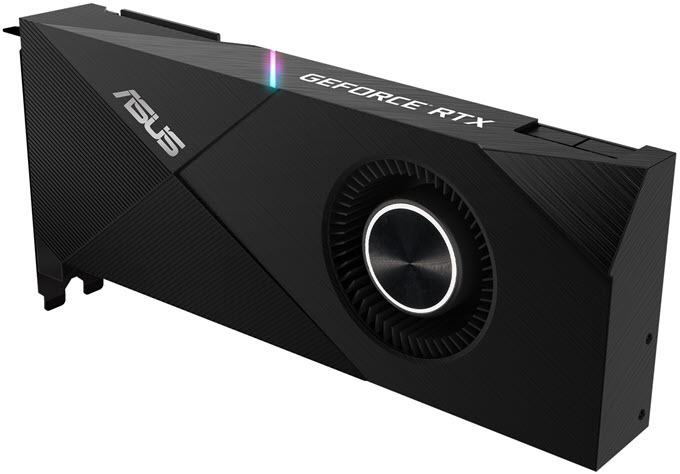 ASUS Turbo GeForce RTX 2060 is a blower fan RTX 2060 card for systems or computer cases with restricted airflow. The all black shroud on the card looks pretty cool it also features an LED illuminated strip on the side. It comes with an 80mm blower fan that has got dual ball bearings for longer lifespan. The fan is also IP5X dust resistant which means dust will not be able to damage its internal components. To be honest, blower fan styled graphics cards are not the most silent graphics cards and they tend to get pretty noisy at full loads where the fan is spinning at its maximum RPM. The card is slightly overclocked having GPU boost speed of 1710 MHz. 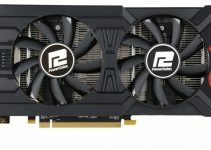 This card passes the Asus 144-Hour Validation Program which means it has been extensively tested for popular titles like Fortnite, League of Legends, Overwatch and PlayerUnknown’s Battlegrounds, and it has also been stress tested in a series of 3DMark benchmarking tests for stability and thermals under full load. Like most of the RTX 2060 cards, this card also requires an 8-pin PCI-E power connector and the recommended power supply for this card is of 500W.Connectivity options at the rear include two DisplayPort and two HDMI ports. I would not recommend overclocking this card any further because of its limited cooling capability. However, you may use the Asus GPU Tweak II utility to monitor, tweak and tune the various settings. The actual model number of this card is TURBO-RTX2060-6G. Looks can be a subjective thing, but I personally think that GeForce RTX 2060 Founders Edition is a stunning looking card and is solidly built too. The metal shroud encapsulates the whole PCB of the card that runs from the top to the back where it meets the metal backplate. For cooling, it comes with black painted heatsink with vapor chamber design and dual-axial 13-blade fans. It is a dual slot card and is also pretty compact in size compared to some of the highly overclocked RTX 2060 cards from add-in board partners of Nvidia. This classy RTX 2060 card requires 8-pin power connector and a 500 Wattage PSU. It is the only RTX 2060 card that includes all the major connectors at the rear, which include two DisplayPort, one HDMI port, USB Type-C port supporting VirtualLink VR headsets and a DVI-D port. You can overclock this card further using a good overclocking software to extract maximum performance out of it. It is no denying fact that RTX 2060 is a great value for money product for mainstream gamers and is the cheapest RTX card that supports Real Time Ray Tracing and DLSS. It would be an amazing product if it comes with 8GB GDDR6 because in this age, 6GB can be a limiting factor when it comes to high-end AAA games like Battlefield. However, it can run all the games at 1440p with max settings (with no Ray Tracing & DLSS) and is better than the GeForce GTX 1070 Ti, both in terms of price and performance. It is also a very good workstation card because of its extra capabilities that include RT cores and Tensor cores. So, if you are looking for a mid-range card with all bells and whistles for your next gaming build then RTX 2060 is certainly a very good choice. If you have got any questions or doubts regarding graphics cards then feel free to ask me by leaving a comment below.